However, you may not be convinced that hosted PBX is the right solution for your needs. No two businesses are the same, so is there any guarantee that you'll appreciate the same gains as your peers? Is Hosted PBX the Right Choice for My Business? Hosted PBX is not right for everyone. Hosted PBX is consistently more cost-effective than analog and traditional digital telephony across business sizes and industries, but that doesn't mean it's the "best" solution for every organization. Anyone who claims that a technology solution is correct for everyone is trying to sell you something. Some companies may need an on-premises branch exchange to meet their IT, financial, regulatory or other requirements. What we are seeing across our customer and prospect base it that most find a Hosted PBX meets their requirements. However, how do you know which phone system is right for you out of all options available to your business? In this blog post, we'll discuss factors that can point to the conclusion of whether or not hosted PBX is right for your organization's unique needs. Hosted PBX: A cloud-based service where the software and hardware (except for the handsets) are hosted on your vendor's network. Your on-site and mobile business phones are connected via internet protocol (IP) service to your vendor. On-Premises PBX: The phone system (control unit, voicemail system and PRI or analog interfaces) or PBX exchange system is located in your office space, typically in a telephone or server room, to enable call routing from phone handsets to the PBX over internal wiring. Analog phone systems: Also known as POTs (Plain Old Telephones), analog lines are the traditional method to support making and receiving phone calls over the Public Switched Telephone network. 1. Are You Worried About Startup Costs? 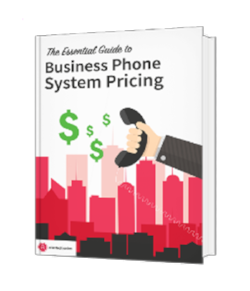 Not every business can afford to invest thousands and thousands of dollars into a new phone system. Hosted PBX offers the advantage of much lower startup costs since you're not responsible for purchasing all of the necessary software, hardware, and equipment required for an on premise system. While vendor price structures can vary significantly around implementation factors and licensing, most companies find that hosted PBX is 70% cheaper to implement than on-premises PBX. For other organizations, there can be accounting benefits associated with a high upfront cost investment, especially if your budget and staffing allow you to spend money on on-premises investment with the potential of realizing possible savings over time. 2. Will You Be Using Public Internet Connectivity? Regardless of whether you're looking at hosted or on-premises, there are risks to running business telephone calls over public Internet connectivity also known as "over the top" connections. Phone calls that travel over your Internet connection, across the Internet to your Hosted PBX vendors Internet connection can't guarantee Quality of Service (QoS). The result may be drops in call quality during periods of peak demand. You may also experience difficulty troubleshooting, security risks, and service outages. Is VoIP over public Internet worse than analog phones? That depends on your definition of "worse." Chances are, with adequate bandwidth allotment and at least a decent Internet provider, you'll still realize acceptable reliability and call quality . The point is that VoIP quality is always better with fiber-optic Internet connectivity with single vendor for your phone and data services. This arrangement can offer major gains to businesses who need crystal-clear, reliable phone service. To learn more, check out 7 Reasons Unified Communications as a Service on Public Internet is Risky. 3. Do You Need Feature Set Flexibility? Does your organization have a keen interest in exploring complementary VoIP features during your adoption period? Perhaps you're not entirely sure whether your business will realize value from concepts like interactive voice recognition (IVR), call center call routing, or CRM integration. If part of your goal with a phone system switch is to define your business needs, there could be a financial advantage in Hosted VoIP. Working with a vendor can enable access to software licenses on a trial basis, enabling you to create test or pilot engagements with a limited group of users without significant financial investment. In most cases, organizations that need extensive VoIP add-on features are best served by either on-premises or hosted PBX. Organizations who anticipated significant changes in their feature requirements could realize savings by going the hosted route. 4. How Much International or Long-Distance Calling Do You Perform? Hosted PBX virtually always delivers measurable cost savings. However, studies indicate that the "average" savings of 40% on Hosted PBX over analog phones can more than double for organizations with specific needs. For startups and companies that do a lot of international calling, call rates savings can be up to 90%. Some traditional phone vendors offer good deals for long distance calling, but their rates are typically completely unable to compare to the flat, transparent fees for calling offered by PBX vendors and solutions. 5. How Quickly Do You Need to Add/Subtract Phone Lines? Is your business affected by rapid staffing changes, seasonal employment needs, or other factors that can cause customer call volume to spike suddenly? With both hosted and on-premise PBX, adding a phone line is generally as simple as a few changes within your administrative software and connecting a handset. For businesses with a need to scale up and down quickly, IP-based telephony offers significant financial and convenience advantages over analog phones. Choosing between on-premises and hosted for scaling should be shaped by your in-house tech expertise and finances. While many VoIP vendors bill phone lines on a monthly basis, adding lines to an on-premises solution can require more intensive network configuration. The math associated with headcount and the relative costs of on-premises vs. hosted PBX is pretty clear. In almost all cases, per Primus, hosted PBX is cheaper for organizations with fewer than 50 employees. Larger mid-sized companies and enterprises can realize cost savings by going the route of full equipment investment and in-house maintenance, but paying per phone line is almost always cheaper for smaller companies. If you've got 51 employees, this isn't necessarily a sign to jump at the capital expenditure of premise-based IP telephony. Any cost comparison you perform should take into account other factors, including in-house talent, talent shortages, costs associated with training and licensing network engineers, and other "hidden" costs of going on-premises. 7. How is Your In-House Tech/VoIP Expertise? Simply having an IT person who knows a little bit about VoIP isn't always enough in-house expertise for companies who are considering on-premises over hosted solutions. It's wise to consider certifications, 24/7/365 staffing, and your IT staff's other commitments. Can you commit the human or technical resources to monitoring call quality and information security factors on the weekends? Will going on-premise create talent shortages in your IT department by pulling people away from other projects? For companies with the existing knowledge and 24/7 staffing to do VoIP in-house, on-premises could be the correct solution. However, if your talent is already stretched thin or you'd need to hire, hosted may be a wiser route to go. 8. How Intensive Are Your Setup/Customization Needs? There's no such thing as "normal" when it comes to business communication needs. However, an understanding of how phones will fit into your communications and technical structure should form your opinion on whether you go off-site or on-site. Perhaps your organization has intensive contact center needs, including sophisticated call routing requirements over a large number of representatives, some of whom don't even work "in the office". Maybe you're using a relatively obscure CRM system, and want a VoIP solution that can fit into it seamlessly. These factors can point you to on-premises if you have the right talent in place, or a hosted vendor with deep subject matter knowledge. This factor isn't so much a matter of "this or that," but it's still important to consider when making your decision. 9. 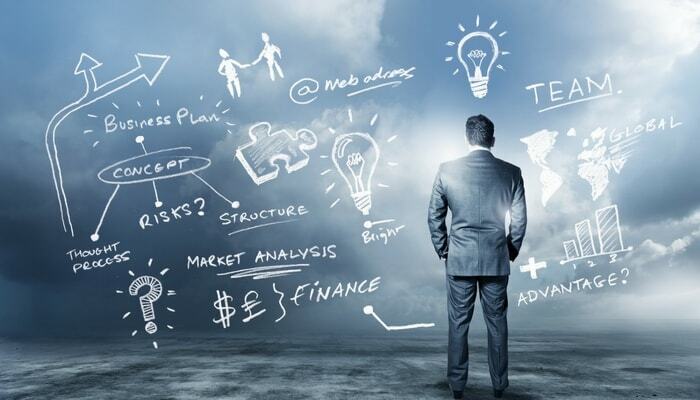 Have You Already Invested in On-Premises PBX? Without considering factors like talent and time and custom integrations, the initial investment cost of on-premises PBX for a company with 20 phone lines can easily exceed $15,000. If your organization has already purchased hardware, handsets, and software licensing to do premise-based telephony, switching to hosted may not be the right choice. Realizing the capital expenditure of on-premises takes time, and a switch can add to your bill. For organizations making the switch, comparing the relative benefits of monthly operational expenditures (OpEx) for hosted PBX vs. the capital expenditures (CapEX) of on-premises is a lot less simple of an equation. Once again, this selection depends largely on your finances, growth goals, company size, technological expertise, and desire for flexibility. If PBX is on your radar, you're likely aware of the benefits it can offer above analog phone systems. While the choice between hosted and on-premises PBX is simple for some companies, it's much more complex than others. Hosted PBX isn't right for everyone, but it's often right for companies with a need for flexible services, convenience, ease-of-use, and cost savings on the initial investment. Atlantech Online's in-house experts have years of experience helping business owners and IT pros make sense of complex and confusing options. To initiate your complimentary consult today, click here to make a call.